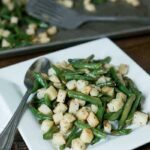 Want high quality low carb foods shipped direct to you each month? 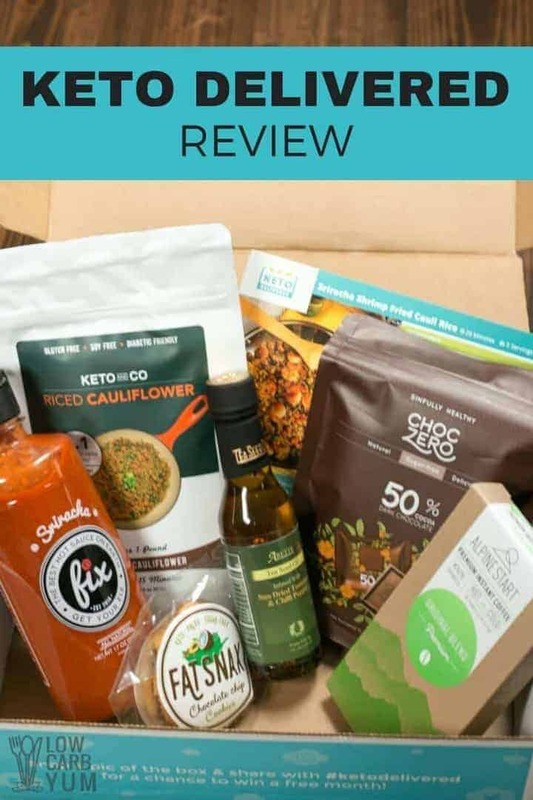 Come check out what you can get in a Keto Delivered subscription box. Although I’ve been getting monthly shipments of Keto Krate each month, I figured I’d try out a similar service to see how it compares. Turns out, it’s very similar so it gives you another option for convenient low carb food delivery each month. You’ve probably heard of the service. 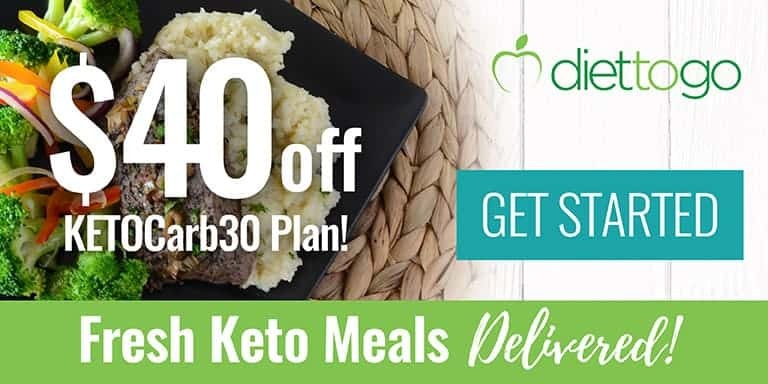 It’s Keto Delivered and they’ve been around for about the same amount of time as their competitor Keto Krate. To be honest, I don’t see a big difference in the two subscription boxes. However, I am a bit partial to Keto Krate and they have been very good at acting on customer feedback. Since I haven’t tried Keto Delivered that long, I don’t know how they rate in this area. I can tell you that the box I received was packed with high quality low carb foods that I absolutely loved. Not one bad item in the box. And the price is almost identical to Keto Krate. To introduce you to Keto Delivered, I figured I’d show you a little video of the unboxing. However, the meat stick disappeared from my box (I have a feeling who may have eaten it), so you won’t see it in the box photos or video. 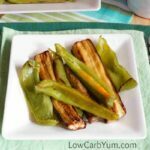 Tea seed oil has a high smoke point so it’s perfect for stir-frying your favorite keto meal. The oil included in the Keto Delivered shipment is infused with sun dried tomatoes and chili pepper flakes. I make a lot of Asian style stir fry dishes like my Korean Beef and Chicken Bok Choy. The flavored tea seed oil is a nice change from using the standard sesame oil. The tomato chili flavor also adds a nice touch to salads. I like mixing it in with a little balsamic or red wine vinegar. It certainly adds a kick to any low carb meal. You learn more about the Arette Tea Seed Oil at AretteOrganic.com. You can also order it from Amazon. I love cauliflower fried rice so I was excited to see a bag of dry riced cauliflower in the box. If you haven’t seen my full review of this product, you can check it out here. It’s so easy to make. 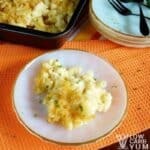 You simply sautée the dry riced cauliflower in a pan with a little oil and water. I like to add a little coconut aminos and egg with scallions. The nice thing about using dehydrated cauliflower is that it has a long shelf life. So, if you get busy and don’t get to making that riced cauliflower dish you bought it for, it won’t spoil. It keeps for couple years. Find out more about this amazing product at Keto and Co. Keto Delivered subscribers got a coupon for 20% off! 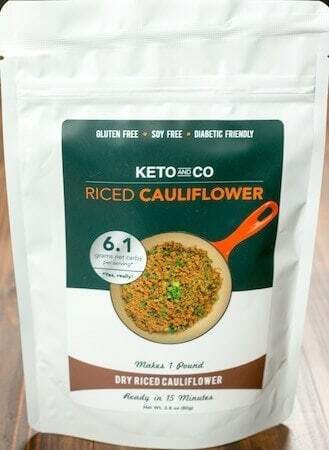 You can also find this dried cauliflower on Amazon. If you love spice, the gourmet Fix Sriracha sauce is for you! And, the guys at Keto Delivered included a large 17 ounce bottle which is plenty for spicing up your low carb foods. There no sugar in the sauce so you get a true smooth burn. It’s perfect to use as an ingredient or to add a splash of hot spice to any meal. They say hot spices may help boost metabolism so it never hurts to give it a try. I love kicking up the spice and this sriracha sauce is the perfect way to do just that. You can find out more about this hot sauce at FixHotSauce.com where Keto Delivered subscribers can use a 15% coupon. Or, order this product the next time you visit Amazon. 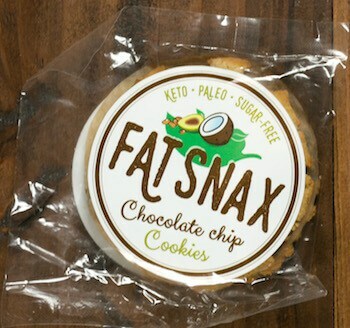 The Fat Snax cookies are another item I was thrilled to see included in the Keto Delivered box. I had the pleasure of testing each flavor they offer. You can see my full review of these cookies here. 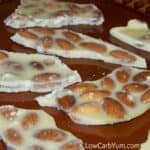 When it comes to keto cookies, the Fax Snax ones are one of the tastiest. I especially like the turmeric ginger flavor. However, the chocolate chip cookies are also fantastic. The cookies are made by a small company in Brooklyn, New York. The product is excellent so I’m hoping business really takes off for them. You can find out more about these delicious cookies at FatSnax.net. And, those with the special Keto Delivered coupon code get to 15% off. 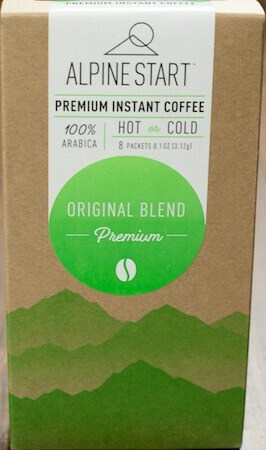 Coffee is one of my favorite things, but I’m not usually a fan of instant. However, the Alpine Start premium instant coffee is almost as good as fresh brewed. I love the little single serving packs. They are much more convenient to use versus the spoonable kind. And, the Alpine Start instant coffee can be used in either hot or cold water. If you’re traveling or going camping this summer, keep a box of these handy. You only need some water to get a nice cup of Joe on the run. You can find out more about this product at AlpineStartFoods.com and save 20% with the Keto Delivered coupon. The Alpine Start Premioum Instant Coffee is also available on Amazon. Chocolate, especially ChocZero brand, is always a welcomed sight. These heavy chocolates are so delicious and with only 1g net carb per square, you won’t have to worry. I have a hard time eating just one square of these yummy chocolates. However, I try to limit myself to three. Otherwise, I’ll eat the whole bag. The chocolates are sweetened with monk fruit extract which has the cleanest taste of all the low carb sweeteners I’ve tried. I love that there’s no sugar alcohols added. It’s my favorite brand of low carb chocolate! 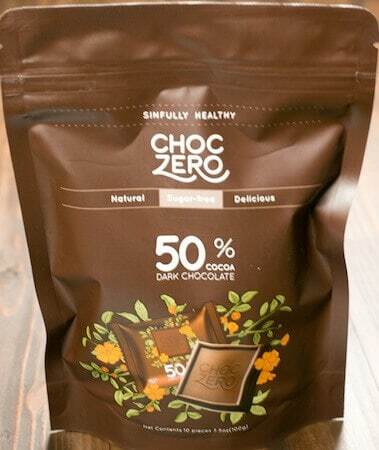 You can learn more about the products at ChocZero.com or head straight to Amazon to place an order. The milk chocolate is to die for! I’m not really sure what happened to the Vermont Cured Cracked Pepper meat stick that was supposed to be included in my Keto Delivered box. Maybe it was missed in the shipment, or maybe someone in my house snagged it. However, I have tasted the meat stick as it was included in one of my Keto Krate shipments. 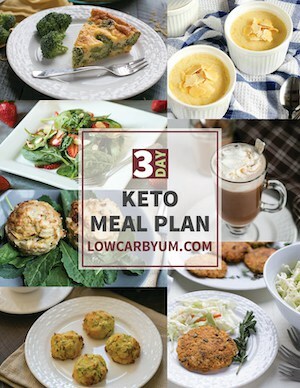 You can see my full review of the product here on the May 2017 Keto Krate review. If you’d like to find out more about this yummy cracked pepper beef and pork stick, head over to vermontsmokeandcure.com where you can use the 20% off coupon included in the shipment. Or, you can buy them on Amazon. 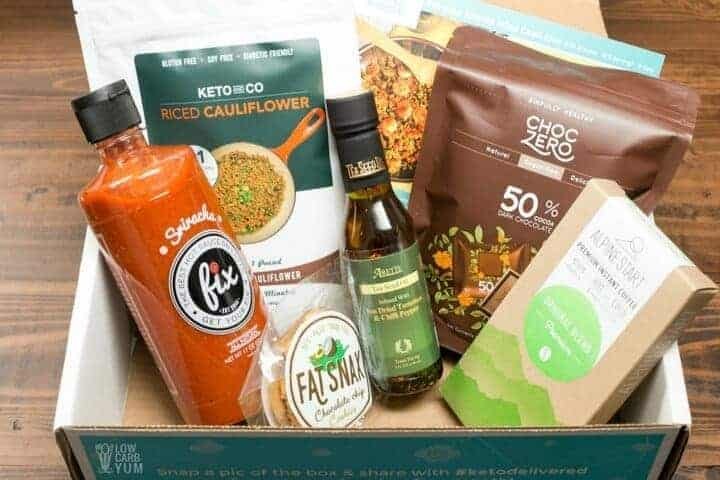 Is Keto Delivered worth the monthly subscription box? The total retail price of the products in the box is more than the cost of the box so it certainly seems to be a good deal. And, if you take into account that shipping charge may be more if all the products were purchased separately, it could cost more. There’s also included discount codes in the box to save more money. I enjoyed every product. If all the shipments are similar to this one, I will certainly be a happy subscriber. Ready to sign up? Just head on over to the official website to get started!